Effective January 1, I have resigned my tenured faculty position at Georgia Tech. Before reflecting on a range of things, let me start by answering a question that may have popped into your head: I have no plans to join the Trump administration (ha ha). Technically, my resignation is a retirement event, since I am on the Georgia State Teachers Retirement System, and I need to retire from Georgia Tech to get my pension (although I am a few years shy of 65). I have requested Emeritus status. So, I have retired from Georgia Tech, and I have no intention of seeking another academic or administrative position in a university or government agency. However, I most certainly am not retiring from professional life. I’ve been in school since I was 5 years old. Until a few years ago, I regarded a tenured faculty position at a major university to be a dream job, and I couldn’t imagine doing anything else. Apart from my own personal career trajectory and the ‘shocks’ that started in 2005 with our hurricanes and global warming paper, and the massive spike in 2009/2010 from Climategate, I’ve found that universities have changed substantially over the past 5-10 years. At first, I thought the changes I saw at Georgia Tech were due to a change in the higher administration (President, Provost, etc). The academic nirvana under the prior Georgia Tech administration of Wayne Clough, Jean-Lou Chameau and Gary Schuster was a hard act to follow. But then I started to realize that academia and universities nationwide were undergoing substantial changes. I came across a recent article that expresses part of what is wrong: Universities are becoming like mechanical nightingales. The reward system that is in place for university faculty members is becoming increasingly counterproductive to actually educating students to be able to think and cope in the real world, and in expanding the frontiers of knowledge in a meaningful way (at least in certain fields that are publicly relevant such as climate change). I’ve written on these topics before, I won’t belabor this here. So why not try to change the system from the inside? Well, this is not the battle I want to fight, apart from any realistic assessment of being able to shift the ponderous beast from within. Or maybe it’s just a case of ‘wrong trousers’ as far as I’m concerned. Simply, universities no longer feel like the ‘real deal’ to me (note: this criticism is not targeted at Georgia Tech, which is better than most). It’s time for me to leave the ivory tower. Let me relate an interaction that I had with a postdoc about a month ago. She wanted to meet me, as an avid reader of my blog. She works in a field that is certainly relevant to climate science, but she doesn’t identify as a climate scientist. She says she gets questioned all the time about global warming issues, and doesn’t know what to say, since topics like attribution, etc. are not topics that she explores as a scientist. WOW, a scientist that knows the difference! I advised her to keep her head down and keep doing the research that she thinks interesting and important, and to stay out of the climate debate UNLESS she decides to dig in and pursue it intellectually. Personal opinions about the science and political opinions about policies that are sort of related to your research expertise are just that – personal and political opinions. Selling such opinions as contributing to a scientific consensus is very much worse than a joke. When I first started down this new path in 2010, I published papers that could be categorized as applied philosophy of science (e.g. uncertainty monster, etc). This seemed to be a path towards maintaining academic ‘legitimacy’ in light of my new interests, but frankly I got bored with playing the game. Why go to the extra effort to publish papers, wrestling with reviewers who (usually) know less than you do about your topic (not to mention their biases), having to pay to get an article published some months in the future, so that maybe 100 people will read it? Not to mention the broader issues related to coping with the university bureaucracy, government funding, etc. At this point, I figure that I can reach more people (including students and young researchers) via social media. Do I pretend to have any answers to all this? No, but I hope I am provoking students and scientists to think outside of their little bubble. So my fall from the ivory tower that started in 2005 is now complete [link to my 2006 AGU presentation agu_integrityofscience_curry] . I am interested in figuring out new and better ways to apply weather and climate data, weather forecast information and future regional climate scenarios to supporting real world decision making to manage risks and associated with weather and climate variability. I became interested in such applications over a decade ago, and Peter Webster and I founded a company Climate Forecast Applications Network (CFAN) to do just that. If you haven’t checked out our website (ever or even recently), check it out – cfanclimate.net – I spent my entire winter break revising the website using some good suggestions from Larry Kummer of Fabius Maximus fame. CFAN started as a university start-up company in 2006, and didn’t have any full time employees until a few years go. We now employ 7 Ph.D. scientists (in addition to myself and Peter), plus software engineers, etc. With my retirement from Georgia Tech, we are spinning up the company into a new phase to explore new forecast product developments and decision support tools, new markets, new partnerships, new regions. So far, most of CFAN’s revenue comes from the ‘weather’ side (days to seasons), with a few projects on developing future climate scenarios (I wrote about a current project here Generating regional scenarios of climate change). I find all this tremendously interesting, challenging and rewarding. Not to mention enormously time consuming (CFAN needs to make more money so that we can hire more people to take some of the load off myself and the other managers, all of whom are wearing too many hats). I am learning a huge amount about decision support, management, marketing and sales, finance, etc. At this point, the private sector seems like a more ‘honest’ place for a scientist working in a politicized field than universities or government labs — at least when you are your own boss. So, where does all this leave my endeavors with social media (including Climate Etc.?) Resigning my faculty position and taking on a full time plus position in running CFAN actually means less time for blogging, rather than more (at least in the near term). I remain very interested in the interactions afforded by social media. However, over the past year I have devoted considerably less time to writing original material for Climate Etc. Apart from being really busy, I have been spending more time on twitter (which is a much smaller time investment). I will also try to write more frequent but shorter posts at Climate Etc., with short excerpts and brief comments on some of the articles that I am tweeting about. I will be relying on guest bloggers to provide more technical analyses. So I definitely intend to keep the blog going, but in context of managing a very busy schedule. We’ll see how all this plays out, but I figured I’ve earned the right to explore and do what I want. This is my definition of academic freedom (and I’m not asking anyone else to pay for it). Best wishes in your new endeavors. I’ve always appreciated your honest, direct input in the climate debate. It has been a breath of fresh air to a layperson who is very skeptical about the CAGW hypothesis. Thank you for a display of numeracy without precedent in these pages. You have been helping me to do that– think in new ways, thing for myself. Thank you, an please continue to do so. I admire your stand and will keep reading. I know the feeling Judy. I resigned from my University last April and instead became the regional director for the Brexit campaign in my home county of Yorkshire and Humberside. Time comes when actions are more important than academic treatises. Welcome back to the real world. I am a new supporter of Judith Curry. Bravo to her! Indoctrinated in college in the early 1970’s about “Global Cooling,” my mind was later opened to reason by a book by Dixie Lee Ray. Best wishes to the honest, scientific mind & work of Judith Curry. Congratulations on your academic career and best wishes for the future. Congratulations on an exciting and wonderful opportunity. Basically you’re “just” retiring early. I have found giving up and retiring from academia to be the best thing I could possibly do for myself. (Academics will argue I dropped out and never made it since I never actually got to a paid tenure position.) It took me six months of moping to “get over” having “given up” on making it in the academic rat race. I spent a lot of that time sleeping because of years of living stressed and sleep deprived. My health improved enormously. I finally finished my book, Embryogenesis Explained. I now spend my time doing what I want. I don’t do what I don’t want. I am busier than I have ever been in my entire life and life has never been so good. A friend of mine once said “You can always tell an academic by the number of knives they have in their back.” It’s nice to finally stop trying to stand up straight and walk around with all those knives in my back pretending they aren’t there. Congratulations again. I think you are going to really love this life once the shock passes. A testament to the lack of integrity in today’s academia. It’s surreal how bad it’s become. My very best wishes Judith for 2017, I wish you every success in all your future endeavours. Perhaps GIT are no longer worthy of you. Gosh this sounds maudlin I fell like I’m starting to write a obituary. I hope you will continue this blog. Dr Curry, welcome to the Real World. We look forward to the new you. Congratulations, Judith! All the best to you in your new adventures! I’m sure by this point you’ve seen my posts, it helps to have a gold standard name such as yours, but for someone like myself, the likelihood I’d get my work past the guards is so slim, it’s not worth my time, when I still have things to learn from the data. I think you’ll find this, a relief. Dr Curry if you need more help at CFAN, consider leveraging with students working partime. I’ve done that and it worked well. They need a bit of care to get started, but they turn out well. Juniors and Seniors seem to deliver more per monetary unit. Also over the years they graduate and either you hire them or they go work and become excellent contacts. Hi Fernando, we have been working under that model for the past 10 years. All but one of CFAN’s scientists worked for us first at Georgia Tech. The challenge with undergrad majors in atmospheric sciences is that their IT skills are not sufficient (we did manage to successfully groom a few). Then why not supplement with Engineers and IT people who understand climate (Like myself) the cross fertilisation is enormously contagious. Not only that, Engineers, people like me translate science into inventions – things that help people. It’s what we do! I also know the ugly part of the establishment which is so well expressed in your note, and that one faces when approaching the status of ”emeritus”. Congratulations for your boldness, your gut, your vision, and you beautiful writings. All the best for the next new years to come. We badly need your inputs and visions, but also the views of your most professional colleagues (about climate), who will still support you. Michel. Hi Judy. Congratulations on your transition! Your path moving to the Professor Emeritus role is one I also took a few years ago. Your experience at Georgia Tech mirrors mine at Colorado State University. I was sorry to see the Atmospheric Science Department at CSU move to group think with respect to climate issues with penalties for anyone who questioned the issue. Rather than promoting diverse views and discussing – at CSU and more generally in the AMS, AGU, NASA, NOAA, NSF etc, the leadership of these organizations are ostracizing those who disagree with their views ( e.g. As summarized in the AGU climate change statement, for example). My experience has been similar to my son’s as he described in his recent WSJ op-ed. I have been vilified, ostracized and marginalized only because I questioned the narrow view of the climate issue that they advocate. This exclusion occurs despite the fact that my papers are widely cited including in the topic area of climate, Thus I am glad we have the option of social media to seek to present a more accurate and balanced view of the climate subject. I look forward to continuing to follow your outstanding work on weather and climate issues! You have my respect Dr. Pielke as does Dr. Lindzen and price that you both paid. I’m glad at any evolution but it has to be noted how painstaking and seemingly contrived Dr. Curry’s progress has been. It’s just a little too late to go without noting it. It is truly said to hear your account of what’s become of the Atmospheric Science Dept. at CSU. I am a CSU alumnus, and I took a couple freshman atmospheric science classes back in the early 1990s, as part of getting my BSCS degree. Unfortunately, I don’t remember who my professor was. All I know is that he was researching El Nino in the Pacific. We covered the hypothesis of AGW as part of talking about the concept of the greenhouse effect, and he was pretty dismissive of the whole thing about humans having an outsized effect on the climate due to emissions. I remember we had a laugh about a then-recent story about “concerned scientists” saying cow flatulence was altering our climate in terrible ways, which gave him an opportunity to talk about the duration of methane emissions in the atmosphere (as I recall, he said it was less than a week, and that solar radiation breaks down methane). It seemed back then that reasoned discourse carried the day in that department. Some years later, I found your blog on this subject, and it seemed to be an oasis of tranquil scientific thought in a sea of madness, though as I recall, you were working at CU Boulder at the time. I spent several years researching the topic simply because I was curious why the alarmists didn’t seem to be presenting their case in the fashion that I am used to with scientists. In the process, I found that the skeptical side of the argument, or I should say the scientific presentations, which did not support alarm, made a better case for their argument. I also listened to William Gray fight the good fight against the hysteria. He eventually left CSU, though I think it was for the purpose of retiring, not being forced out. His own hurricane research center lost funding, though. Some speculated it was because of his stance on AGW, though others disagreed, saying that its predictive capabilities were not good for one year, and seemed to be degrading for a few years, and that other prediction centers had produced a better product. Whatever the reason, I’m glad that he was in a position to challenge the hysterics for a while. – budget is huge for fashion science (big science, NIF,ITER,LHC), and paid by industry for non fashion applications. – total dependencies to budget decision make freedom a myth. – freedom of thinking is allowed, and even promoted, provided you are discrete, and discretion can be organized because media are easy to manipulate to ignore dissenting information. I exaggerate a little, but time is changing. Never forget Wright Brother did a better job than Langley with a much smaller budget. I fled academia in 1974, because even then, it was becoming clear that leftist group think was poised to drown intellectual honesty in the service of political philosophy and ideology. I took an MBA instead of a PhD, and discovered exactly what you describe. The world of business was refreshingly honest and tethered to reality, and actually produced things of value. Academia has since become a monoculture of statist careerism working in direct opposition to an honest philosophy of science. Things got rapidly worse, as Dr Curry observes, over the past 10 years. It is not a coincidence that the last 8 years has seen ever more serious signs of cultural decadence in US universities. President Trump, as a successful businessman in real estate development, a field I have first-hand knowledge of, is demonstrating this point as well in the first weeks of his administration. Indeed, here we are, and the CAGW AcadeMedia-Federal Government complex has become Exhibit A. Drain the swamp. I search for papers that use the word “heatwave”. We’re in one. Wishing you all the best! Being in the position of not looking back and saying ‘what if’ is empowering. Congratulations! Please keep us in the loop regarding your evolving endeavors. Judy, As ever a brilliant and thought provoking post. I wish you the very best in all your new endeavors. Well said, and needed. I retired in 2013 and have not looked back. I had the privilege of mentors who pursued sociology as a science — trying to uncover and understand long-term trends in technology and social organization. But I believe they (we) have long lost that battle. As one once said, we tried to do “well,” not “good.” Now it is all the study of gender pronouns and what academic elites believe is “good to think.” The brighter students know this is bunk, but many “go along to get along.” I increasingly find myself apologizing for the nonsense and damage that social “scientists” have inflicted on society. And when people I meet ask what I taught and did, I say sociology, but quickly add but I have good qualities too! Did you ever read Daniel Kahneman’s “Thinking Fast and Slow”? Wishing you all the best in your endeavours, many thanks for taking the time to explain the science to those of us not involved in the field. Congratulations on your major step upward. We look forward to CFAN’s much more accurate near term forecasting laying the groundwork for longer term climate forecasting. PS Note Demetris Koutsoyiannis on Stochastic modeling as potentially more productive than current climate modelling. Thank you for your erudition and honesty delivered without fear or favour. I look forward to your “popping up”, some time hence. Professor Curry, that’s a gutsy decision. Do not worry about Professor Mann cutting a notch in a grip of his gun. Thanks partly to you, he and his Nobelist ilk are increasingly irrelevant. Welcome to the world of full-time private sector life Judith! I started my career in the private sector as the most viable option for me. Our company, Pacific Identifications (which I own with two colleagues), has provided me with full time employment since 1988 as well as (most critically, in some ways) the part-time employment I needed while my kids were small and when my interests turned to other things (like now). A pivotal moment, back in the late 1990s, confirmed what I had always felt was true. I was at a professional conference of marine mammal biologists and the head of the division of NOAA that had been a major client for years invited me for a drink. She and I had never really exchanged more than a few words in relation to our research over the years but on this day, over a few beers, she said she wanted to let me know how important it had been to her and her team that I kept reminding them of the science issues involved in our collaborative work. As government scientists, she said, they were kept so busy with attending meetings and writing reports that they too often lost track of the underlying science relevant to their research. She said that my commitment to making sure the science was addressed, even badgering them for answers to certain questions, was appreciated, even if they had not said so at the time. That conversation meant more to me than all the university accolades I saw bestowed upon my ivory tower colleagues. If you are committed to doing science as it is meant to be done, you can do it anywhere. It does not matter who signs your paycheque. I have always loved the freedom of being self-employed and I know that many of my university colleagues have envied my intellectual freedom. I took good advantage of that freedom and have always felt that it drove my growth as a scientist. The trade-off, of course, was economic security: most people simply cannot tolerate the anxiety of a missed paycheque that comes with self-employment. But if you do your job well, it is not any less secure, it just has more ups and downs that must be anticipated (funds put aside to offset). Those who look down on scientists working outside academia are largely jealous, I’ve found. When they see that I am still happy in my scientific career after more than 40 years, having accomplished so many things that pushed professional boundaries, I think it also makes many of my colleagues feel inadequate. A few have done what I have within the university system but not many. Most of them don’t bother – they just don’t have the self-discipline or the scientific curiosity (and they know it). I wish you all the best. I think you’ll be very glad you made the move. Best wishes on our new direction. We can all say how much your contributions to the climate debate are appreciated and your writings and presentations have enlightened us all. Congratulations on the step up. In my time in IHEs, I found academics fighting more and more over less and less until they went to war over nothing! Thank you for your integrity and courage. Best wishes in your new endeavors. Good luck with your new career. Your timing is perfect and your clients should make a fortune in the derivatives markets. Did you forecast the much warmer Jan/Feb weather? NatGas prices just plunged over 8%! Thank you, please keep up the good fight. Society needs more thinkers and less followers. In my opinion, academia has turned in to a poisoned well. From climate science, to sociology, it has turned toxic. Needless to say you have my best wishes for your future. There is no better illustration of this than Brexit where everyone in the Elite from the Govt, economists, BBC, Universities etc were all utterly convinced that as they all believed in the EU so would everyone else. There was genuine shock and anger and vitriol that not everyone in the country thinks as they do, with everyone not conforming to their view being idiots, senile, unthinking or not understanding the issues etc. You had a similar situation with Trump. My point is that perhaps academia (and ivory bubbles) are now too incestuous or convinced of their rightness to be able to learn anything from other sources. Over here we call it the ‘not invented here’ syndrome. Perhaps its not helped by the internet (and social media) where its easy to dwell permanently with like minded people. (which is why I welcome people such as JimD and JCH amongst others at this very blog). Personally, I have become bogged down in producing several articles as I have acquired too much data (e.g. !3th Century English climate based on CET) and it is VERY difficult to sort through all the extremely diverse sources and snippets and academic papers in order to make a coherent narrative. 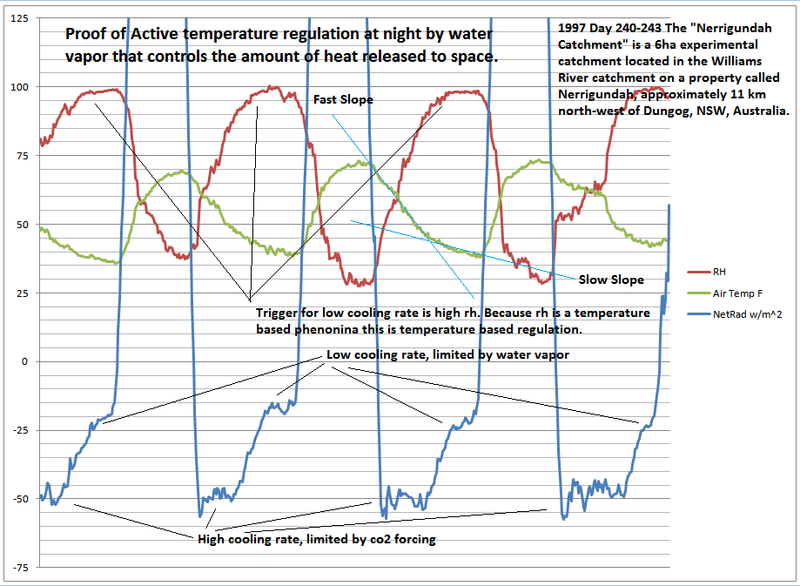 Similarly I have piles of data on the extraordinary temperature rise from 1695 to 1739 which seems to dwarf anything in the modern era and I am also amassing information on the 1970’s cool period, as there seems to be a concerted effort by some to demonstrate that it was all a figment of our imagination (not that I was old enough to remember it personally of course) :). The trouble with merely publishing on blogs is that alarmists will point out it is not peer reviewed and can therefore be discounted. No better example of this than the Connely et al piece on The Global cooling scare of the 1970’s which apparently they couldn’t detect in the media and therefore didn’t happen. As that paper was peer reviewed it is held up as being the final answer. If you, or indeed anyone here, has any comments as to when something should be a peer reviewed item rather than a blog post I would be interested to hear their views. So, all the very best in your new endeavours. Exciting Times!! arxiv started requiring a sponsor for a paper to be included for several decades ago! I doubt that you will have ANY trouble, but unless one has an “acceptable” sponsor, the answer (as for me) was no dice after arxiv was transferred from LANL to Princeton and I was no longer employed at LANL. This is why I have simply put my efforts in vixra and gsjournal. Again, good luck with your venture and new direction in life. I gave up my tenured position as full professor at the Univ. of Texas in 1979 to go to JPL. In retrospect, the reasons were a bit different than yours, but basically I did want to get out of the ivory tower and get into the real world. (Not that NASA was completely real). Anyway, we (I and many people I know) admire and respect all the great work you have done. Your blog has provided more information, more insights, and more honesty to the field of climate than all the others combined. You have been an inspiration to me ever since I first encountered your work around the time of Climategate. Your willingness to engage those who disagreed with you, to listen carefully, to evaluate arguments, to define carefully the REAL boundaries of agreement and disagreement, to “test all things, hold fast what is good” (1 Thessalonians 5:21) made me respect you right from the start, and I have valued your contribution to the AGW debates ever since. Having spent just eight years teaching at the undergraduate level and eight more at the graduate level, never tenured, I observed many of the frustrating things about academia that you’ve described, and when I made the switch out of academia first to half-time each in pastoral and non-profit work (Cornwall Alliance for the Stewardship of Creation, http://www.CornwallAlliance.org) in 2008 and later to full time with Cornwall Alliance, I experienced the wonderful fresh air to which other comments above refer. Thank you for all you’ve done, including your generous willingness to answer my individual requests for explanation of technical scientific matters, and I’m confident we’ll see more from you in the future. I consider it a real privilege to have gotten to know you a bit. Enjoy your new path! I will deeply miss your blog. Professor Curry, Congrats on your transition – to quote Monty Python: “And now for something completely different!”, or perhaps a bit more serious on your arrival after a very long “Road to Damascus moment”. I am sure I speak for many of the Denizens wishing you well, and by all means do not hesitate to contact us if we can help you in any way. It’s long past time that we return the favor for your years and effort of this blog. And we will still call you “Professor”. Congratulations on retirement and doing what you want to do, Dr Curry. Judith, how about you and Naomi Oreskes go on the tour circuit debating the reality, trajectory, and risks of anthropogenic climate change? I would attend such a debate. I somehow doubt Prof Oreskes has the chops to match up against Judith. One is scientist and one isn’t. One is more interested in advocacy and one isn’t. And what precisely does the polemicist Oreskes know or understand about the reality, trajectory, and risks of anthropogenic climate change? Probably not much. Her resume is thin on science: She received her Bachelor of Science in mining geology from the Royal School of Mines of Imperial College, University of London in 1981, and worked as a research assistant in the Geology Department and as a teaching assistant in the departments of Geology, Philosophy and Applied Earth Sciences at Stanford University starting in 1984. She received her PhD degree in the Graduate Special Program in Geological Research and History of Science at Stanford in 1990. She received a National Science Foundation’s Young Investigator Award in 1994. She has worked as a consultant for the United States Environmental Protection Agency and US National Academy of Sciences, and has also taught at Dartmouth, Harvard and New York University (NYU). She is the author of or has contributed to a number of essays and technical reports in economic geology and science history in addition to several books. Professor Curry’s description of academia reminds me of accounts of life in the modern US military. Contrast her analysis of the alternatives faced by junior academics with those offered by the late Colonel John Boyd (USAF), one of America’s greatest strategists. — From Robert Coram’s Boyd: The Fighter Pilot Who Changed the Art of War (2002). Smart officers choose the blue pill. 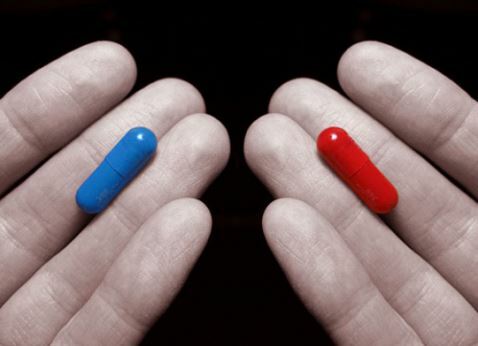 For details see How officers adapt to life in the Pentagon: they choose the blue pill. All the best to you Doc! In a month or two Dr. Curry will be asking herself, “Why didn’t I do this sooner?” Or maybe she is already. Wow!! I couldn’t be more happy for you and Peter. The Web page looks great and I can tell you from personal experience that there is a ton of business to grab for folks who know how to do better forecasts..even slightly better..
Congratulations on a big and (from an outsiders perspective) inevitable decision. Means CFAN is successful, and will give you more scope to make a difference as you see fit. CE has and will continue to make a difference to the climate debate of which you have become a leader. Back when I was helping guide a several $billion/year R&D organization, some of the brightest scientist stars we had in stuff like applied quantum physics (MRAM), information theory (lossless compression), and chemistry/physics intersections like OLED and FED developed a morale boosting saying: Those that can, do; those that can’t, teach (they meant university academic research). You can and now do full time. Dr. Judith, a new year, a new life. I suspect I speak for more than myself when I say that you have my appreciation for all your many contributions to turning climate science back towards science, my best wishes for your new endeavors, and my profound thanks for your blog. It has been an ever-interesting and most welcome contribution to the ongoing climate science discussion. Willis, you deserve congratulations for defending Judy, and seeing her potential, on WUWT when she was just beginning to detach from the consensus. But where’s the damage function! I too left academia to run a startup. Have a great trip! This blog has established itself as a major publication, and a special one at that. It should be sustainable with gentle oversight, but you might consider recruiting a volunteer editor or two. congratulations and welcome to the wonderful world of retirement. Funny that the modern climate is in fact quite stable, while university led academic science is facing existential threats it barely recognizes. Sure. Your ‘peer-reviewer’ is your customer, not your competitor. The customer is interested in results that work.. Being ‘interesting’ or ‘consistent with latest Groupthink’ isn’t important. But providing a product or service that customers are willing to pay for is. You are only as good as the last thing you sold. Oh – and customers aren’t hugely interested in the prizes and baubles and status symbols that academics so obsess over. Just the results. And, of course, congratulations on escaping to reality! Case in point, The National Weather Service forecast just sent NatGas prices down over 10%. Doesn’t mater if they are right? Only thing that maters is if CFAN clients were able to beat the market and arbitrage the price dislocation. Of course if CFAN was forecasting a much cooler Jan/Feb then their client are not happy today. Congratulations: anyone with the initials JC should do well. Good Luck in your new venture! You are the professional’s professional. I would have said until a few years ago you were the academic’s academic. However, I share a lot of your misgivings about academia and that accolade would no longer be a compliment, as far as I am concerned. Best of Luck. You will excel at any endeavor you pursue and climate science will still be the beneficiary regardless of what you do. Best wishes, good luck– and thank you! I sincerely hope that he does. He couldn’t make a better appointment. Dr. Judith Curry — The heretic that asked her profession to think more clearly about climate. As a layperson, you forced me to do the same and I am grateful for that. It’s so easy to fall for propaganda, media, and people with overzealous agendas. Your blog provides a necessary balance in a humanity-changing equation. Thank you, and best of luck in your future endeavors. Judith ==> Wow. Your courage to stick to and act on your convictions has always impressed me beyond expression. Best of luck in your refocused endeavors. I’ll try to up my act a bit to contribute a little more to Climate Etc — it is too valuable a resource to let slowly recede from the forefront of climate science online. Judy: I’m jealous. I guess I’m 20 years behind you. I wish you well in your new life. Excellent. And I concur that regional climate forecasting is a priority. Judith, your blog and the Denizens have done so much to combat the soul-destroying Consensus. Some day, when the full history of the global fever is written, the work of you and your contributors will be seen to have been central. Cold Comfort in a different key! Congratulations on a brave new start, and good luck with your new endeavors. Glad to hear Climate Etc will still survive, I think it’s a very important forum that has made a significant impact. Appreciate all your hard work and tolerance and imagination that has made it work. My own time is very pressured these days, but I’ll get a new post to you in the near future. Absolutely, it should be fun. Good luck. Sorry that academia is not a more welcoming, tolerant, place. Think about this issue often in connection with the education of my soon to be college age children. Ah, congratulations, and good luck, and please don’t leave us for too long ofperiods of time. And most of all thank you. I am one who reads often, but comments little. I have to say I enjoyed Climate Hustle :) Judith is a star!!! I had to leave in the middle of the panel discussion. However, I am challenging all of them, to contradict significant material I am sending them and letting them they will be in a book I am writing. I have offers from two publishers. The book will include human nature and the human need for a religion, be it climate change, witchcraft, eugenics and more. Climate alarmism has actually helped me to understand how we humans believed in so many things like witchcraft. Judith, I’m joining the list of those offering congratulations and good fortunes for the future. Your honesty and integrity will surely be missed at Georgia Tech. Long time viewer and very occasional contributor. Congratulations on your release from the tyrany of having to analyse every single word before you press send. I have tried to find any research into the use/abuse of the precautionary principle which I think has been wielded to good effect by the usual suspects and persuaded many influential people to support the unsupportable. I may of cource be way off. I am certain that you will enjoy the thrill promised by the self induced freedom and look forward to sampling some of the fruits of your endeavours. Congratulations – I hope they fill your position with another skeptic (it does seem like things may turn around with different leadership in D.C.) Wishing you all the best! All the best Judith. You’re posts are excellent so it is great to hear that you plan to keep writing. Your timing is impeccable; ie, leaving the ship of academia while it is still moored yet about to set sail into a storm, some of its own making. I refer specifically to the new regime in Washington DC, scuttling the current climate ship of state. More likely than not, the money flow from Government agencies like EPA, NOAA, NASA, Commerce etc will diminish for some projects to a mere trickle while wholly new projects and funding will take some years to launch. The “private sector” may prove in these times to be much more productive; ie, the “new” type of citizen scientist unencumbered for validation by lists of degrees and credentials. Congratulations on the transition. You seem to be leading, ie, out in front, again. Great news when a scientist of your stature can detach herself from the (soft) chains of the Academia space. Best wishes! I have enjoyed your blog for several years now, learned a lot as well. First I wish you all success in your new career. Second, I did something like this in 1993 for parallel reasons leaving a tenured geology professorship at the University of Illinois @ Urbana-CHampaign, followed by a three-year stint as President and State Sea Grant Director of a marine consortium. That turned out to be a bad match so I went into geological consulting for 18 years. I had plenty of work, met some great people and found the geological consulting community to be of a higher ethical standard than many colleagues in academe. It didn’t take me long to wish that I had done this sooner. Again, best wishes, good luck and keep us posted. Congratulations on this milestone & good luck w/ CFAN and other pursuits. Max Planck once said something on the topic, as I recall. Congratulations Judy! It was a pleasure to work on PhD committees with you and a couple of what turned out to be great young scientists. Yes, I also owe you my article for Etc. Let’s talk. I noticed no difference when I retired except the bank statements changed. I still do the same scientific computing.as when I was working, a job and hobby miracle possible owing to suddenly cheap computers. “A deciding factor was that I no longer know what to say to students and postdocs regarding how to navigate the CRAZINESS in the field of climate science.” I’m curious how climate scientists in academic positions respond when a student shows interest in climate science. As a retired professor (in another field) I always felt that my number one priority was to the students. Do students need to be made aware of the CRAZINESS? Do they need to be told to run as far from climate science as possible? And does it matter which side of the CRAZINESS you stand? I demonstrate that, according to the statistics currently practiced in peer-reviewed science, you are almost certainly immortal. Long may you continue to be so. It’ll be interesting to see if there’s any media coverage outside the climate blogosphere. I hope she does some interviews. Congratulations! I look forward to following the alt-ac career paths you’ll open for us all. What a great story, Judy. Probably your best blogpost, ever. Welcome to the “real world”. You’re a great person and will really love it. Climate Etc has been wonderful. All the best Dr. Curry. You are and will remain “one of the good/honest guys”. Thank you so much for your efforts in this field. You probably would have attained a much higher position , and certainly more money if you had went along with the AGW crowd. Best of luck in the years ahead. Best of luck in your new endeavors! It will be fun, and I look forward to it in a few years myself. Good luck along your new path! You have been a source of the most wonderful inspiration, and I have no doubt that you will continue to do useful and innovative work at CFAN, while nurturing the curiosity and skills of your staff and clients. And thank you for invaluable contributions. I´ve spent some time doing that lately. May you live exceptionally well, and prosper. Transition is a sign of living. Judy, all the best for the new phase, but please keep the blog going! It’s nice to be able to say exactly what you think without having to worry about what harm you may be doing to the institution you work in. It is my wish that you find satisfaction, happiness, and effect as your travel down the new road. You’ve previously made a detour in 2010 to follow the “road less traveled” and along the way, you’ve made enemies, as well as many new friends. That took exceptional courage, and we are all better for it. Now, you can choose the road you like. Best wishes, and kindest regards, with respect. Judy, I’ve always been amazed that more seemingly intelligent people don’t have the courage of their convictions needed to choose a new path in life. There are few things less appealing than whining academics who lack the steel to seek alternative avenues to “be the change.” A life without risk is also a life without the thrill of occasional unexpected success, even if it too often comes at the cost of painful failure. I’ve had far more of the latter, but the occasional triumph has made this life worthwhile. There is nothing that focuses the mind quite as much as being out on a limb. I wish you and Peter great success with CFAN, and all the excitement, passion, and stimulation that comes with that leap. Will you keep climate etc blog going? seems to the the human failing thing. global governance is their thing. Beth, beautiful poem. Spoken as a person who took one English lit class as an elective, (hint, Grey’s elogy, Moldering Heaps of Turf) and was asked to join the deoartment as a potentisl summa. I summaed, but not in that department. Jusith is departing on a life adventure many of us ‘deplorables’ have already. Me, once in 1999, once in 2000, and once in 2005. Excillerating, all. Every time someone leaves academia, I imagine the freed up parking pass and the ensuing mad scramble for it, much like a food riot in a prison camp. But perhaps Georgia Tech isn’t as bad as other schools in that regard. Judy and I have been together for many years and partners in many endeavors. I would like to make a number of personal observations relative to her post. I have never met another person with higher integrity, honesty and forthrightness. When you ask Judy for an opinion, one expects her to be honest. There is no flim flam! I have been the recipient of advice in many joint areas of our lives and when I pick myself off the floor, bruised ego and all, one finds her advice has been sound. She is an eloquent spokesperson for the integrity of science and stands apart from many academics that, for their own survival, have been forced along paths that allows a lack of questioning we would hope would exist in all areas of science. In my opinion she has challenged the “oligarchs of conformity” on either side of the climate discussion. But I think you may have noticed these characteristics within her blog. Let me say a few things about her scientific career of which many of many of you may be less aware. Judy ranks extremely highly in many areas of science ranging from radiation theory, cloud physics, thermodynamics and arctic climate. Besides modeling and theoretical work she has organized field experiences in hazardous parts of the world. Of late, she has major contributions in extended prediction that have been discussed on the blog. She has published nearly 200 papers in the standard peer reviewed literature and two major scientific text books as well. Given her extremely high citations and scientific influence, one has to wonder (but not very far) why she has not received the accolades she clearly deserves. She has been nominated for awards and prizes many times. But, simply put, there are no prizes or awards for those not in lock-step with the conformity of the field. However, Judy’s awards and distinctions have come from her efforts from other towards the sanctity of science. I think Judy would agree to that. Her service to academia has been stellar. She took over a struggling department at Georgia Tech and now, 15 years later after 24 hires it ranks in the top echelon of earth and atmospheric schools globally. I would dearly love to say that the present high-level administrators of Tech appreciate her efforts but they are more concerned with being in “lock-step” with consensus positions as well. God forbid that a prominent GT faculty member may question consensus science! Judy, thus, is correct in her assessment of the state of higher education beyond Georgia Tech. Finally, Judy in retirement! I think it is the correct move for her at this stage of her career. Note that I said “at this stage” as I have no doubt that she will continue to be a strong voice promoting scientific integrity. I am equally sure she will excel in business as well. Judy, thanks for our exciting ride and to all those things you have given me and our field in general. Ethics have risen and dogma has suffered through your efforts! Academia is merely a stepping stone! PW, to those of us with similar experiences in life if not similar wisdom, God Bless. We get it. You are a very lucky man to have such a strong honorable woman by your side. But it is always mutual. She would not have been able to do what she has just done without you. Been there, done that, opposite shoes, corporate rather than uni environment. Not sure which is more vicious. In my case, had to grade the top 15 corporate officers for their MEIP (exec bonus); i was #16. I gave one a zero out of 4 to #3. The CEO overruled me and gave him the highest MEIP bonus that year– millions. Then fired him 3 months later, shocking the 120,000 employee organization and embarassing me. Then I quit. And then several months later the BoD fired the CEO. Such is life. God Bless you both on this momentous decision. Any way we can help, she knows how to find us. More guest technical CE posts have been now requested. I am on it, if still deemed worthy regarding some future submissions. Just need new inspiration. Highest regards to you both. Rud, you confirm my minor fears. Now let’s get rid of that pesky ethics panel, secretly if possible. These guys will always find a way to cut the branch they are sitting on.There is also a government environment. My major fears. + A Gazillion when your Partner feels this about you — when they are so proud of you. Good luck on your new path and congrats for breaking the chains! Congratulations on all of your hard work. I have been a big fan and I have nothing but the deepest of respect for you. Good luck on your new path, I am sure you will achieve great things. This is a most courageous step, though you have thought it through quite well. I congratulate you on the decision, and wish you all success in your new path. All the best Dr. Curry. Retiring and working on what you love is very rewarding, I speak from experience. It is a glorious day when you realize you don’t need the pay check anymore. Good Luck Dr. Curry. Thanks for all your efforts. There is a loss of excellent minds from the institution doing most reef studies in Australia. Some will cross your path. The area of controversy is El Nino caused coral bleaching, which is now a political weapon. The other problem for we Aussies is the failure of local climate models to predict rainfall. These are greenfield areas for objective research. Judith, my very best wishes for you and Peter. You are indeed a rare breed, overflowing with grace, competence, and intellectual integrity. Your gain is academia’s loss. Cool. I am sure it will be a hoot with no point to or inclination for looking in the rearview mirror. Congratulations on the new phase and special congratulations on a exemplary academic career–old school. Good luck and God bless. As a GT grad, I wish you nothing but the best. Congratulations and good luck on your new path. I check your blog every day and read all that is posted. Following your work has been immensely rewarding. All the best in your new pursuits, Judy……. And, by the way, being here in Atlanta, I want to let the rest of the crowd know that the skys over Georgia Tech have been weeping for three days now, over this news. I am of two minds. I am happy for you that you are now doing something you enjoy. I am sad that you felt that is was no longer worth the trouble to have to deal with all of these ideologues who constantly attacked you because you dared to question climate science orthodoxy. There was once a time where questioning the prevailing wisdom was the sine qua non of science. That is no longer the case now that science has become politicized. I wish I had time to respond to each of your comments; the support and words of wisdom have been deeply moving and gratifying. Best of luck Judith Curry. I sympathize with your frustrations with the science research “system.” We are just now dealing with reviewers who are less knowledgable but quite vocal. In my opinion, there is a lot of inertia and too much power allocated to “senior” scientists who can easily stifle new or innovative work. I do hope you keep up with Climate Etc. since its an enormously tool for many of us to learn and discuss. Congratulations and all the best in your new adventures. You have already made a difference and i know your new approach will have much success. It’s crystal clear who the real fascists are. Lurker for many years on ClimateEtc. Congratulations and very best wishes for your future endeavors. A personal thank you for your informative blog and acting as a beacon of integrity and courage, where it was badly required. Georgia Tech’s loss is no doubt your gain. Dr. Curry: Congratulations on your past accomplishments and best wishes on your future endeavors. I admire you for your courage and honesty. I have learned a lot following Climate Etc. Judith congrabulations on making it out alive, and best wishes for your many future successes! Judith, thank you for your prodigious and thought-provoking articles of enlightenment. Like some other Denizens, I have travelled a similar path of trials and tribulations; in no small measure, thanks to the pen/keyboard/actions/inactions of those I thought were trusted friends and peers – albeit not always on the “climate” front. In the last 40 years, I’ve removed myself – or been excluded – from far too many circles in which the “political correctness” of the day/month/year became ascendant … or was recycled for the purpose of strutting a new, improved – and increasingly meaningless – banner, loaded with jargon! May you – and CFAN – continue to go and grow from strength to strength. It is always sad to see the departure of any academic who is truly committed to the spirit of free inquiry. Here’s wishing her the very best in her new venture and I hope to be hearing more of her! I learned a lot from your web site here and am taking a look at CFAN, thanks for the link. I am sure you (and Prof. Webster) will do good work with CFAN. I have trust in you! One tiny point, you need to update the copyright date on the CFAN site – it is stuck at 2012. Should it not be “Copyright 2012 to 2017” (current year)? The fact that you leave without any public evidence that GT attempted to seriously keep you on their faculty does not bode well for those who held the school to be one of the bright lights in the US university system. I look forward to your continued contributions as a climate realist; a label worthy of the best, and you are surely one of them!!! Thanks for everything so far. And best wishes for the future. I started to realize that academia and universities nationwide were undergoing substantial changes. I came across a recent article that expresses part of what is wrong: Universities are becoming like mechanical nightingales. . . . Simply, universities no longer feel like the ‘real deal’ to me . . . . I have seen your comments around on the internet and wanted to add my congratulations and wishes for a successful future. I would also like to note that the Insurance industry is always looking for ways to predict weather patterns and might be a source for collaboration in the future. Good Luck and Godspeed. Still pushing ClimateGate? Sigh. There was not a lot in it. There is no science in scandals, except for endless rounds of ad hominem attacks. I am sure you will enjoy the new road you have chosen, and it will be rewarding for you as well. Like everyone else here, thanks for all the hard work and integrity you have shown over the years. You make me proud to be a Ga Tech grad! How about publishing your best threads in an e-book? You could let someone experienced in e-book creation handle the mechanics. Clearly, you haven’t retired; you’ve graduated. Seems a sad day to me. I know she is wise and strong, so I am confident it is the best for her. Best wishes Dr. Curry. Godspeed. Hopefully a return to Bjerknes? Then solving the graphs and plots afresh to make complete equations? How that was done last time way back in 1922, and that the most important features of that were hidden, is how this whole mess started. Who cares how much in between will be consigned to the bin. Not science, not a jot. Congratulations on your move, which makes good sense to me. I’ve looked at the CFAN website as you recommended – impressive. I am glad that you will be continuing with Climate Etc. Thank you for all the effort you have put into it over the years. Congratulations on this big career move! Thank you for all you have done to bring the truth of science to the anthropogenic global warming issue. You are going to enjoy the personal satisfaction you get from CFAN repeat customers who value highly the expert services you provide to them in helping them make better business decisions. I agree with almost all you have written and published over the last several years. My only disagreement is that if we ignore the hypothetical ECS metric as impractical and inappropriate for current public policy decision-making, and focus on Transient Climate Sensitivity (TCS) based on the actual variable growth rate history of atmospheric CO2 concentration (TCS = TCR) for public policy decisions regarding GHG emissions, there really isn’t an “uncertainty monster” we need be concerned about. Continuing my above comment……..The conclusion I get from what you, others and the independent, objective assessment (the kind of honest answers you seek in industry rather than academia focused on getting journal articles published) of our The Right Climate Stuff (TRCS) research team (www.TheRightClimateStuff.com) have discovered about TCS from adequate available data on atmospheric GHG and Global Mean Surface Temperature (GMST) trends since 1850, and using a more reasonable (than RCP8.5) “business as usual” RCP6.0 emissions scenario, is that the GMST increase above current levels should be less than 1C by 2100. Therefore, there is not an immediate AGW threat requiring swift, corrective world-wide government action while so much “official” uncertainty regarding the AGW threat remains in the climate science community. Climate scientists need to put aside their un-validated GCMs (this should never be the source of their uncertainty) and focus on available physical data to determine TCS = TCR and do better research on “business as usual” RCP scenarios constrained by data on world-wide reserves and reserve growth rates of coal, oil and natural gas, to remove so much “official” uncertainty from the AGW threat. Only then, can rational public policy decisions with potentially severe unintended consequences, be made. Clearly, the rational decision for today is to not take costly action on emissions until the “official” uncertainty is removed from the problem. I would recommend we not focus on the “uncertainty monster” that might apply to ECS, but not to TCS = TCR for current policy decisions. and focus on available physical data to determine TCS = TCR and do better research on “business as usual” RCP scenarios constrained by data on world-wide reserves and reserve growth rates of coal, oil and natural gas, to remove so much “official” uncertainty from the AGW threat. Only then, can rational public policy decisions with potentially severe unintended consequences, be made. Clearly, the rational decision for today is to not take costly action on emissions until the “official” uncertainty is removed from the problem. I would recommend we not focus on the “uncertainty monster” that might apply to ECS, but not to TCS = TCR for current policy decisions. Climate research seems to run along very predictable lines. There are plenty of issues which seem to require the development of theoretical insight, but little evidence of progress, or in fact even interest in these. Because this is where the models flawed parameterization causes them to run hot. Here it is without paywall. Great stuff! I have enjoyed reading your blog and hope you will continue to post. Having followed your for work and commentary for almost ten years, I am surprised you held out at GA Tech for as long as you did. Best wishes as you jump feet first and full time into CFAN. Dr. Curry… congratulations on your retirement. Many thanks for your patience with me in my Penn State graduate school pursuits in the early ’90s. Hi Sean, nice to hear from you! Interesting little video clip from your twitter feed. With the caveat that it is a relatively short term of analysis for a relatively small portion of the globe. May I say, pretty much as a “lurker,” that you are a valuable voice for research and skepticism, and a person of integrity. Good luck in all your endeavours. Congrats, best wishes, and good luck. May the wind be always at your back. Pingback: Dr. Judith Curry chooses integrity over the state of climate science | Watts Up With That? I meant of course “Godspeed”. How does one edit a comment here? a mistake and comment is much better than an edit to remove it. Thank you for your comment and follow up correction! best of wishes to you for your future full-time career in the non-academic field, and most of all for the courage you’ve shown in doing this. Dr. Curry; Thank you for your work and integrity over all the years. You have made a difference in humanity. Pingback: A woman of integrity | Land & Livestock International, Inc.
Best wishes in your new incarnation, Judy, and thank you for your efforts at keeping climate science honest. Congratulations on your retirement, and best wishes for fulfillment in your new journey. I retired 3 years ago after a 45 year career in higher education administration. I empathize with your position, although my challenges were more with the CRAZZINESS of the politics infecting our system and my institution. Best wishes, Judy!!! Although I’ll admit that I have been secretly hoping that you might be tapped for at least an advisory role with the new administration. They certainly need wise counsel and yours is among the best. Congrats on a successful career. Keep speaking out and speaking up. It’s always good to be on the side of right and there is certainly a shortage of people with the courage to do that when it comes to this topic. It’s good to be on the side of right and it is always good to discuss and debate about what is really right. That is Judy Curry’s best accomplishment. I’m sorry to be so late in the day. I am sure that you will feel a sense of relief after moving out of academia and have the opportunity to develop your work in a less toxic atmosphere. As for Georgia Tech, they don’t deserve you. When the history of the Climate wars come to be written, the majority of your peers will have vanished without trace, and I expect that Mann, Jones etc will not be remembered in a favourable light, unlike your good self. The best of luck with your new endeavour. When I retired, in 2007, my life did not get less hectic. I don’t know how I had time to work. I started climate study in 2008. Our six grandchildren started in 2004. Our six grandchildren, age 6 to 12, live in the local area and attend 5 different schools. Life may get better, but it may not get easier. Climate Science is just a hobby for me. As I pursued information to support my hobby, I tried to find scientists that I could trust, scientists that could let the data take them to a reasonable hypothesis, and then allow scientific method run its “acid test”. Certainly, one of the finest scientists that quickly learned to trust was YOU! I followed your blog, I watched your congressional testimony on youtube and read your tweets. I feel like I know you although, I have never met you. I will continue to follow you because I can trust what you say! All the best in this new chapter of your profession! Dr. Curry, I am a GT grad BAE 74 MSAE 78, and former employee of GTRI. Several years ago I read about your work in the alumni magazine and while I wanted to trust the integrity of my Alma mater, it seemed you had “drank the Kool-Aid.” I’m glad to see that I was wrong about you, but I continue to be concerned about the integrity of GT based upon other stories in that same publication. A million thanks for standing up for true science, and may your future be blessed with all you desire. Dear Judith Curry, I do hope you didn’t fall prey to a so-called “consensus”. Whatever… Vous avez été une référence pour moi et pour tous ceux qui attendaient un autre point de vue. Soyez assurée que je continuerai à vous lire, car vous avez tant de choses à nous dire ! Best of luck with your transition, Judith. 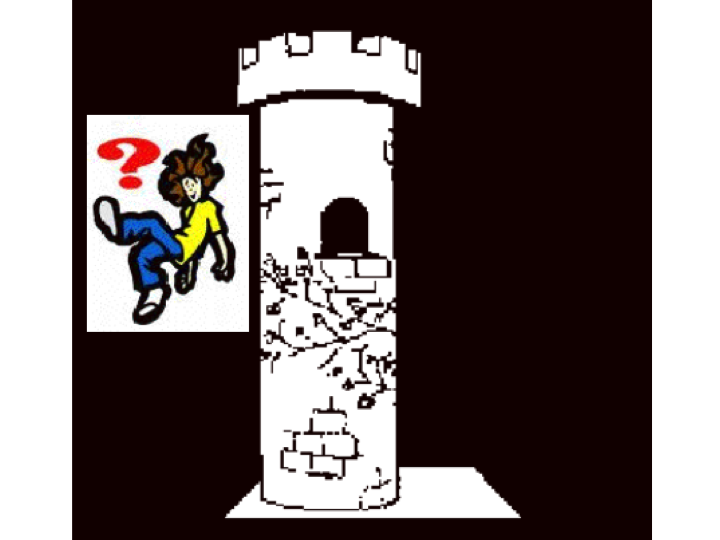 It requires courage to abandon the ivory tower, but later in life one regrets the things that didn’t do, not the ones that did do. You have nothing left to demonstrate in Academic science. Good luck in your business endeavors. Creating a new business around a new product that is in demand is a very exciting and rewarding experience. I hope you enjoy years of success. Running a business is fascinating and provides endless opportunities to learn and grow. Welcome to the club. The whole of academia is now in criss for two reasons. First what is the point in lecturers, when you only need one lecturer in the world in any one subject and the rest can just watch on the web. Second, these days any decent amateur can pick up almost any subject relatively quickly and become an “expert”. And often – because they have wider experience outside academia and if retired can devote their entire time to researching the subject – THE AMATEURS ARE BETTER THAN THE ACADEMICS. And climate was a new way of doing “science” – one that justified a lot of other work and so created a whole new type of area for academia to justify paying itself at public expense. Indeed, I think most academics don’t care at all about climate, so long as there is perceived to be some sort of crisis needing all the additional research. But climate is not proving to be a crisis, and sooner or later academia is going to have to admit that – and when it does, a huge amount of research done on the basis of there being “a crisis” will not have any justification for funding. Congratulations, best of luck and heart-felt gratitude on your contributions! Thank you so much. Since at least the Renaissance, citizen science is the legacy of science itself. The tragedy is that government (and corporate) science after WWII, while opening the endeavor to those of less than independent means, imposes political and business restrictions that poison the free expression of ideas. Ideas, by humans of any stripe, are the heart and soul of science. I have enjoyed reading your comments for years. I saw your posts on Steve McIntyre’s site what seems like a dozen years ago. I wish you the best of luck and success at CFAN or where ever the future takes you. I really hope you can keep CE going, improving and becoming ever more influential. I hope you can get some good contributors – especially on the justification for the belief that GHG emissions are a significant threat to the global economy. I’d like thank Peter Webster too for his personal note. It is wonderful. Made my eyes water in appreciation of all you have done and who you really are. Let me add my best wished for your future success, Dr. Curry. When I got my PhD, I considered going into academia, but the prospect of spending my entire career becoming the world’s expert on a very narrow slice of physics didn’t appeal to me, so I went the National Lab route. My experience is that, on average, academics and non-academics have about the same level of integrity. I’ve seen scientists of great integrity in academia, government, and industry. Tenure does not seem to have any effect on people’s ability to follow the evidence wherever it leads. It seems that the comfy seat you took on tenure is all worn out and not so comfy any more, and it’s time to head off to find a new one. I do hope your new seat will once again restore the enthusiasm of discovery and wonder. I’ve been really please to follow your blog – particularly the technical climate posts which have significantly helped me find my way through the over-hyped fog. WP477: What’s Happening to Our Universities? They have a lovely metaphor of the boiled frog. Lots of little apparent improvements over a large number of years …. I find your decision to resign your post both sad and encouraging. I can both sympathize and empathize with your position. Climate science is not my academic/professional specialty, although, it has factored into some of my research. I completely understand one’s disillusionment due to the politicization of science. When I made the decision to pursue a career in the sciences, I was under the impression that “science” was the pursuit of facts and truths about how the universe came to be and continues to “work”. Apparently, the socio-political aspects, including money, far outweigh facts and truth. As much as I loved teaching and conducting research with colleagues, as well as my own projects, I, too, finally had enough of the political correctness that has corrupted science. Best wishes to you in your future pursuits. You are a shining example to us all. Very best wishes. Best wishes! I’ve enjoyed reading your blog over the years and your scientific integrity in the face of criticism and political correctness has been a real inspiration. And now, just yesterday, we are being told that NOAA had it right. Sigh. Best wishes with your new enterprises. No matter whether ECS turns out to be high or low – and a 70% ci of 1.5-4.5 K allows for many possible futures – you should always be able to be proud of the students you educated (including your readers here), the integrity and courage you demonstrated by not hiding from uncomfortable facts, the department you nurtured at GT, and the business you are building. I’m in awe of your sincerity and principled position. If academia had more professionals of similar stripes, the world would be a better place. The present political correctness and politicized positions are poisonous and detrimental to knowledge. Kudos to you. Your students must feel very proud of your effort to instill in them the desire to remain scientists above all else. These are exciting times, times ripe for heroes. You, Ms. Curry, are one of them. Thanks for inspiring me. What can I say to add to the vast number of compliments above, other than to add my congratulations as an admirer from afar. Thank goodness there are people like you who have the courage to speak the truth, despite the cost. You are a hero and I wish you all the very best. Dr. Curry – You are a voice of reason speaking out against a well directed symphony of fearmongery. I hope you are right in that you can be more effective outside the walls of the University than inside. I fear that the opposite will be true, but cannot begrudge anyone their well earned retirement. Congratulations! Dear Judith: Bon Voyage on your journey as you bid adieu to the comfort of your chosen career. You’ve been a paragon of integrity in the field of climatology for a long time and that can never be taken from you. Mann and his ilk are nothing more than strong-arm enforcers and intellectual assassins. When the contretemps over the global warming scare is studied fifty years from now, you will be noted as one of those who remained true to the scientific method and kept your wits about you. See Leah Remini’s exposure of Scientology. False religions fight hard to defend their power and money. There’s no one whom I would rather have had for a teacher, and you and your blog have been my teacher. Tis a sad day for Georgia Tech. Thank you for bringing both sanity and civility to the climate debates. Congratulations on your “retirement”. I “retired” 5.5 years ago, and for some of the same reasons. I share your disillusionment with universities. They have become echo chambers for very narrow ranges of thought. It was bad enough in the social sciences and humanities, but when the narrowness and “correct thinking” started penetrating the sciences, it was truly distressing. I remember sitting in an NSF advisory committee meeting warning about the politicization of climate science–in 1991. Here we are 25 years later and all my fears have been realized. Like you, I spent my entire career studying climate (in my case, paleoclimate, which has quite a lot to teach us). When a volcanologist told me I didn’t know what I was talking about when I attempted to voice something other than the strict dogma, I knew it was time to hang it up. I know many senior scientists who are advising postdocs and young faculty as you are. I’m still doing science in academia, but as an emerita, and it is wonderful. And I’m still focusing on trying to understand what really did happen with climate in the past. Best wishes in your new endeavors. I will be sure to follow your work there. Hi Judy, CE could use a paleoclimate post from you! Thank you so much for the invitation, but I am so busy right now with other writing and editing projects that I really do not have the time. But I will tuck this in the back of my mind and maybe someday I will (especially if our grant isn’t renewed). By the way, I LOVE the idea of free-market science. That’s what it’s supposed to be, but the free market of ideas has not been so free as we would hope. I am interested in your climate theory. Why has climate changed in the way that it has? You can read what I believe. Have you looked into the relationship between paleoclimate and the locations of the tectonic plates over the Phanerozoic era? What is causing the apparent 150 Ma cycle of ice ages? This has something to say on this issue. popesclimatetheory: I looked at the first few pages of your presentation, but found it difficult to read because of the large font and the need to scroll through so many pages. However, I did pick up on your thoughts about albedo. I actually did a study on that ages ago, which, unfortunately, I never got around to publishing in anything but the grey literature. It’s a USGS Open-File Report, but I’m not sure those are available any more. The results were pretty interesting, but I never pursued that line of research further. Peter Lang: This was a hot topic of discussion (perhaps the hottest) when I started my career in paleoclimatology in the late 70s, and I did a lot of work with global climate. But I used conceptual models (which actually turned out to have high predictive value for _patterns_ of change) and I focused on identifying specific geologic/paleoclimatic problems (polar climates in the Cretaceous, the climate of Pangea, the distribution of oceanic upwelling zones, etc.) to work on. I didn’t attempt to get into numerical modeling because it was so time consuming just constructing the experiments, doing the runs, etc., and I was more interested in doing geology. You could say Eric Barron handled the numerical modeling side at that time. I am a geologist, and had the career diversion into modeling because I felt I needed a global context for geologic problems to work on (and to identify interesting problems). As I expected at the time, more and more of the literature has been focused around numerical modeling, while I went off to concentrate on the geologic record of climate change. I suspect that’s the reason none of my work is cited in the encyclopedia article you linked to. It was inevitable that, as numerical modeling became easier and provided more and potentially better quantitative predictions of temperature, precipitation, etc., my work would fall out of fashion. Indeed, I would have been rather horrified if the field hadn’t progressed beyond my crude conceptual models! So to answer your question, yes I have looked into it, but a long time ago. I didn’t attempt to get into numerical modeling because it was so time consuming just constructing the experiments, doing the runs, etc., and I was more interested in doing geology. … I am a geologist, and had the career diversion into modeling because I felt I needed a global context for geologic problems to work on (and to identify interesting problems). As I expected at the time, more and more of the literature has been focused around numerical modeling, while I went off to concentrate on the geologic record of climate change. I suspect that’s the reason none of my work is cited in the encyclopedia article you linked to. It was inevitable that, as numerical modeling became easier and provided more and potentially better quantitative predictions of temperature, precipitation, etc., my work would fall out of fashion. Fantastic to find a kindred spirit who values collection and analysis of geologic evidence. What a pity there weren’t many more climate researchers focused on data collection and analysis instead of modelling. If you have any comments or other respected sources on the relationship between coldhouse phases and the locations of the tectonic plates – e.g. blocking flow of warm currents around the low to middle latitudes and allowing cold currents to circulate the poles – I love to see them. Does USGS have anything valuable to say on this? Thanks for all that you did. I look forward to what you will do. All the best for the future Judith. “Retirement” is IMO a term for withdrawal from paid employment to the TV couch and an early death. We all need to be working at something, planning, achieving, reassessing all our adult lives, and whether it is paid or unpaid, the buzz one gets is still real. I like your thoughts on improving regional and seasonal weather forecasting for the benefit of vulnerable communities and for ensuring that such information is presented honestly, with uncertainties explicitly acknowledged. This is IMO a fundamental weakness of both sides of the climate change debate. While CE will no doubt continue to provide a forum for people who have views about the AGW hypothesis, I have found the arguments to be repetitive, excessively personal in some cases, and not adding anything of interest or value for me personally, except for some of the friends (from both sides of the debate) that I have made along the way. Consequently, I will not be contributing to CE any more but thank you all for the experience. I, too need to focus on other things in future but should any of my friends (they know who they are) wish to contact me via eMail or Facebook they can look me up on the Denizens page. Please note that my email address has changed to peterdavies1940@gmail.com should anyone wish to communicate with me. I look forward to following you site and reading your articles. Thank you for standing on principled science and solid education. Congratulations on your retirement, and more importantly, the work you have done professionally and at Climate Etc. As an engineer, I was troubled by the popular media reporting on climate, but did not have enough time to slog through the peer-reviewed science. Climate Etc. offered a Cliff Note approach to my better understanding of what is known and unknown, with spirited discussions on both sides of many topics and issues. For that I am extremely grateful to you. Congratulations on your retirement! As I’ve said before, you are one of the few intellectual heroes to come out of this whole mess that is climate science. I remember your many posts that were balanced, reasonable, and took the warmist point of view as far and as seriously as possible. I thought you always found that middle ground and I was shocked at the vicious attacks on you from Mann et al. Nothing could more clearly reveal the intellectual paucity of the warmists than their all out attacks on reasonable scientists like you. I still hold out hope that you get some influential position in the new Administration. The ringleaders like Mann may hate you, but I bet you still retain tremendous respect from lots of rank and file climate scientists. You could be such a bridge to that silent segment of the climate community that is bullied into silence by fear of reprisals like they have witnessed all too often. Thank you, Professor Curry, for the courage and good judgement you have shown in response to ever increasing evidence of government-funded deception in climatology. As an alumnus, I’m truly sorry to see you leave Tech. You integrity is as admirable as it is rare, and it’s the school’s loss. Best wishes for your future efforts. Welcome to us, the les miserables, downtrodden climate workers. I have long believed that the global warming clique lacks integrity and your decisive action just confirms my opinion. I personally had nothing to do with climate science until I retired and then only because I was mad at Al Gore after seeing his movie. That was ten years ago but I have stayed with climate science since that time because I got to like it. I have not made a big mark so far but there must be a hundred or more comments that I wrote floating around somewhere in cyberspace. I do worry, however, that the forecasting business you have chosen to enter will not be easy for you To start with, statistics about small business tell us that nine out of ten of them will eventually fail. I have a friend who started a business supplying cell phone service to tourists who come down from cruise ships. Whenever one of these cruise ships stops at a harbor the tourists go down to see what that stop has to offer. But harbors, unlike airports, lack wi-fi systems and they can’t use their cellphones as a rule. My friend has run hisbusiness now for a year and I guess he is not about to fail. This year I asked him if he was making money yet. “It should be next year” is what he said. The harbors he wired so far are in the Bahamas, the Virgin Islands and the west coast of Mexico. He is dealing with a well-defined system – places where the tourists go. Your climate business, as far as I can see, requires a thorough knowledge of atmospheric physics and mathematical talent. My guess is that your climateers are in the same situation as my friend is – getting by but not getting rich. Your chosen field is beyond me but I think I know someone who just might have the qualifications if he wants to exert himself. He is also retired like me but he has used his knowledge to create a complete new of greenhouse theory which shows that the so-called greenhouse effect can be suppressed by water vapor. I will include a comment below that explains it. Of course, the big shots at IPCC and at GISS have blackballed him because water vapor to them doubles the warming from carbon dioxide alone. In my opinion it would be to your advantage to feel him out. He knows me and if you need to you can say that it was my idea for you to contact him. Having seven plus two PhD’s on your system is getting near a small college faculty and you will need to think of the rivalries that may develop in such an environment. All this is just off the top of my head and you can completely ignore it if they do not agree with you. I am just doing this in the hope that your new career will work out, whatever you decide to do. I am glad to see William McDonough tell us that carbon is not the enemy. Far from it, carbon as carbon dioxide is both an innocent bystander and a helper as well. Carbon dioxide itself is not the only nor even the most abundant greenhouse gas that the global warming crowd accuses of warming up the world.. Water vapor is, and it comprises 95 percent of all the greenhouse gases in the atmosphere. Compare this to 3.6 percent for carbon dioxide or to 0.04 percent, its share of all gases in the atmosphere. It does, however, play a role in the atmosphere as MGT , the Miskolczi greenhouse theory, tells us. According to this MGT, carbon dioxide and water vapor, both greenhouse gases, form a joint absorption window in the IR whose optical thickness is 1.87. If you now add carbon dioxide to the air it will start to absorb IR as expected. But this will increase the optical thickness. And as soon as this happens, water vapor begins to diminish, rain out, and the original optical thickness is restored. Along with loss of water vapor, its absorptivity in IR is also lost and no greenhouse warming that the global warming people talk of is possible. The key requirement is of course that the optical thickness must be restored to its original value for this to work. This had been questioned so in 2010 Miskolczi  proved it directly by using a 61-year long stretch of radiosonde observations from NOAA. During these 61 years,, atmospheric carbon dioxide increased by 21 percent while the optical thickness stayed the same within three significant figures. So where does this fit in with McDonough’s hopes? Very simply. Since, as per MGT, the greenhouse effect is disabled by the condensation of water vapor, all the negative things associated with carbon dioxide are dead wrong. Furthermore, this also means that the observed global warming is a natural phenomenon, not produced by humans. It And carbon does not become toxic as he fears! It follows also that all those other bugaboos we are warned of like ‘low carbon’, ‘zero carbon’, ‘decarbonization’ etc. are not our fault and trying to fix them is a colossal stupidity, waste of money and effort. And so are the crazy proposals emanating from Copenhagen and Paris conferences. They are an extreme reaction to a non-existent threat and need to be dismantled. The huge sums involved are simply criminal ways of the global warming establishment to support a scientifically insupportable doctrine. As to McDonough’s own efforts to work with reasonable ways of controlling carbon dioxide, they are harmless, unnecessary, and possibly even beneficial as promoting good practices in farming and landscape architecture. He is also retired like me but he has used his knowledge to create a complete new of greenhouse theory which shows that the so-called greenhouse effect can be suppressed by water vapor. micro6500: Interesting graphs. This one and your first one in the blog show a reciprocal relationship between humidity and temperature. Net rad is off scale here and perhaps ought to be shown on a different scale. The second figure in your article shows a reciprocal relationship between humidity and air temperature as well. My guess is that you probably are associated with some climate work and want to keep your connection private. That is all right but if I were you I would check out whether Judy is interested in your work. The day time net rad is way off the scale, makes the rate change harder to see. I am pleased by your answer, I don’t find many notice this, or don’t see the significance. And no, I’m working by myself in my spare time. But I will take that as a compliment, so thank you. Change is in the air worldwide. Can’t imagine you going off on this life adventure better prepared than to pursue “…science as process, rather than a collection of decreed ‘truths.” Exciting times for all. This blog, your husbandry of it and all the people that contribute to it have been an amazing intellectual journey for me. I am eternally grateful. Dear Dr. Curry, Just saw you on Tucker Carlson (Fox News TV host). I hope he follows up on his remark about doing a series of interviews on what we “do or don’t know” on climate, including how do we “know” what we think we know. Would be great if your clear and honest scientific discussion is made more broadly accessible. Good luck in this next stage of your journey down the unpredicable path. It takes great courage to speak your mind when the zeitgeist is moving in a different direction. Science is indeed self-correcting, but only when an individual scientist thinks for themself and follows the evidence. When the conclusions or even the questions are uncomfortable, it’s not easy to point them out and there are often adverse consequences. You have exhibited remarkable fortitude in the face of hostility by some activist colleagues and condescenscion by some others. Good luck with your company but also in your continuing efforts to ask questions and seek better understanding of our complicated climate. You are making important contributions to science and civilization, and whether the broader world recognizes it, they and future generations will owe you a debt. Can anybody point to recent climate science publications by employees of Georgia Tech that indicate any sort of departure from the width and breadth of past work before the current administration took control? Sorry to be so late on this, but I did want to express my appreciation for Judy’s rare willingness to engage with skeptics and the general public on the issues in climate science, follow the logic and evidence where they seemed to go even when that was not socially or professionally comfortable, and to maintain her good humor and objectivity even when subjected to unwarranted bad treatment from her peers. Best of luck with the new total commitment to CFAN. Perhaps the pressure to provide better forecasts will provoke some fundamental insights that can move the somewhat-stagnant climate field forward. Your account brings to mind what Dr. Pat Michaels said a few years ago about tenure in a speech he gave in Australia. He said you would think that a tenured position meant that you had total academic freedom, because you can’t be fired for what you think. The reality is that tenure is like a 30-year group marriage. He said as people know, if you say the wrong thing in a marriage, the marriage isn’t going to go so great. Same with tenure. It’s been interesting to listen to academics who are disenchanted with the university system talk about the future of academic work in the age of the internet. What they seem to be saying with one voice is that the university system is an old, dying model that was fashioned in the age of the printing press. Now that one can give university courses online, and academic material is increasingly freely available on the internet, it is becoming increasingly possible to get the equivalent of a university education without having to enroll in a specific school. If one desires, you can select individual teachers for courses, though scaling the ability to teach a student body above a certain size will continue to be an issue that research will need to solve. The only missing piece, so the advocates of this model say, is accreditation, but that will be solved one way or another. The basic message, whether they say it implicitly or explicitly, is that there should be no desire to waste time trying to reform the university system from within. It is going to die as a matter of course. The future of academic work is going to be adapted to the internet. I can see that being a possibility. For the past 10 years, I’ve been doing my own academic work online, and it has been very enriching. Blogs certainly help, with other “online academics” talking about their work, and allowing all comers to make their own contributions, and offer criticism. The great thing about it is you don’t have to be part of any socially recognized club to be included. Where merit is recognized, it is applied to contributions. I see one glaring issue that needs to be resolved with that, which is the decline in public libraries I’ve been hearing about. They’re disappearing, but their material is not necessarily being digitized. That’s another topic for another day. You sound happy with your move. That’s what counts. Best wishes. Dr. Curry, thanks for your high level of integrity, and for engaging with skeptics after Climategate and being willing to listen and change your views. Thank you also for putting your reputation on the line to witness for truth and for scientific integrity. I hope you enjoy your new freedom! I am sure that you made a difference to some students who will be inspired follow your courageous example at some point in the future. Students are hungry for the truth and have been eager to hear a different narrative from the one they have been spoon-fed since kindergarten, even if our colleagues remain blind, and deaf to voices of reason. Judith, thank you for this piece and for your great contribution to climate science, policy, good science and the world in general through your blog, academic and commercial work and public interventions. For many of us, you are a heroine and fine role model. You wrote: “We’ll see how all this plays out, but I figured I’ve earned the right to explore and do what I want. This is my definition of academic freedom (and I’m not asking anyone else to pay for it).” Spot on, make the most of your time free from the constraints of a decayed academic milieu. I was forced out of the Queensland Public Service because of my honesty, integrity, intellect, analytical rigour and my refusal to play insider-outsider/you-pat-my-back games rather than work for the public interest. I see you as a kindred spirit, more strength to your arm. Best wishes. You know what you want to do. I am walking through life nearly 2 decades ahead of you, so we are bound to have some small differences in perspectives. I find, after reading your words about your transition, a garbled message in my mind saying “If I was still hiring scientists I would go well out of my way to seek to hire this writer. What a winner!” That is awkwardly put, but more simply it says that we have much in common about how we logically dissect the problems of life and it is comforting to know that there are others like oneself. So pleased to see your regard for industry versus academia. I’ve finally determined that what we have going on with a large part of climate science is the same sort of thinking that goes into creationism. The conclusion is already determined. All that’s needed is evidence to support it. Any that doesn’t is ignored. Only creationism is so often recognized as illegitimate that it rarely gets a hearing in scientific circles. The opposite has occurred in this case. Others think a more accurate comparison is to Lysenkoism, since the conclusion is politically motivated, not religiously motivated. Perhaps, but as the late Michael Crichton pointed out, there are strong indications that environmentalism, which drives Green Thinking, has many of the characteristics of a religion, if one looks at it anthropologically. Some have suggested as well that what’s justifying the “action” related to Green Thinking is what’s come to be termed “post-normal science.” What bothers me about it is the sense that, “We can’t wait on the science, which works more slowly. The situation is urgent, and so we must bring in stakeholders from various fields of work to solve the problem.” It ignores the notion of how they know what the problem is. You can’t really address a problem until you have a good idea what it is. Otherwise, you’re just shooting in the dark. And even then, would any human-scale solution actually address the problem, or is it something we just have to accept, like an earthquake, which we have no means to avert, since plate tectonics are so powerful, and any attempt to ameliorate it can have dramatic, unintended consequences? I don’t see any of these questions being addressed in Green Thinking. In my eyes, it’s just another form of philosophical pragmatism, where the only focus is on the doing–having something to do, not on attempting to address things at their root. Happy to say I’ll be one of your newest readers. Judith, I might have never heard of you until a relatively obscure article jumped out at me from a website I often visit that specializes in the news that the MSM does not pick up, but should. I am just a simple middle-aged man that works outside and has for my entire life, even as a kid. Even though I am “educated” I have never desired to work inside and around schmaltzy, sophisticated, and “enlightened” people at all. They never really struck me as being all those things they really think they are. I have loved being out here, as tough as it is, where I am led by my natural connection with the environment and how my senses and sensibilities process these stimuli into a formidable ability to know what is going on in the natural world. As such a rough around the edges person I do not see my stake in all this as any more or less than yours or anyone else. Indeed, my very living is heavily influenced by all the realities of how the climate works. Unfortunately it is also heavily influenced by the political climate (you know, the thing that has really changed). Quite frankly people like me are long since tired and possibly even angered by the malfeasance of everyone in a place where honesty is needed. To see you break from the dishonesty and come out of the storm cloud of university madness to walk among the ones who deal with all the fallout is very encouraging. I think it is very possible that. if you so decided. you can seize an opportunity to not just reach out to your fellow climate scientists or those in related fields, but to a much broader support base. I mean people who really care but have their heads down taking care of all the things that make life livable in spite of the massive oppression that stems from this hijacked science. There are millions of people out there who want clear and honest answers about the things you know so much about. We hear of some obscure fact that has evaded detection, but now that it is found, we must turn our lives upside down or abdicate yet another liberty or more property for, what we are told, is the greater good. I am not going to get into all the unconstitutional minutia or anything that you would not be so sure about. I would, however, like to invite you to speak about these things you care about so deeply to a ready audience that I can tell, loves you already. i will email you soon. Your courage is an inspiration in this politically correct world! Pingback: Weekly Climate and Energy News Roundup #254 | Watts Up With That? I met Judy C when she worked in Peter Hobbs’ Cloud and Aerosol Research Group briefly in the mid-1980s as a visiting grad student from Penn State. She was examining ice crystal data from the Arctic that we had collected in an earlier airborne study of Arctic clouds. I remember how dedicated and intensely focused on her work she was, on her way to becoming one of our best scientists in Arctic clouds and climate processes, and later, global climate. Judy has stood tall against the winds of alarmist science, group think, and the like; an iconoclast in the best scientific sense of the word, opposing those sometimes dubious forces with rational argumentation. She is my science heroine, and a perfect role model for young women considering a career in science. May her enduring courage set an example for others. Yeah you’re okay Curry. I don’t care what everyone else says! Thank you. It’s great reading such comments about Judith’s past. Pingback: Judith Curry Resigns: ‘Climate Research is Driven by Politics, Not Science’ – Worth Arguing For .. it really is. I would like to personally thank you for your contributions to this field. I sincerely do hope you continue writing this blog, publishing books, speaking on the subject, etc. As an aspiring scientist (not climate, but biologist) I am frankly deeply concerned – as much as any alarmist about the state of the climate – about the state of science as a whole, let alone climate science. Although, it does seem that the politicization/corruption of climate science is many orders of magnitude larger than any other field – the key is to stop it from occurring in other fields before it gets worse. I fear that we may never get to take climate science back to honest science, but the least we can do is prevent it from occurring in other fields. Regardless, I just want you to know that you have been a personal inspiration (and reference) to me for a couple years now, and I wish you the best of luck on any future endeavors! I have read Bloom’s Closing of the American Mind, but it is probably time for a reread, so thanks for that. Have not read Sayet’s book, but love the title. Will keep an eye out for it and read it as soon as I can. I agree with what you say about tribalism, yet another problem in academia, and I’m not suggesting your making this argument I am about to speak to, but the jealousy of tribalism should not excuse the gluttony of credentialism. Credentials are borne of politics and will always be a political beast. Lewis J Perelman argues credentials are nothing more than legalized discrimination in that it has allowed employers the right of discrimination on the basis of the number and level of degrees an applicant brings to the table. He also argues it has been the primary means by which universities and colleges have maintained their monopoly on higher learning. Of course, Perelman also argues for the outlawing of credentialism – the bizarre strange loop that developed from academic credentials – so that employers would return to hiring applicants solely based upon their merits and skill sets. The strange loop of credentialism can sound like a Bach canon or fuge, and look like the many steps of strange loop in an Escher painting or drawing. It can seem strangely beautiful only to wind up horrifyingly self referential and ultimately paradoxical. Only the credentialed may determine who shall be credentialed for all credentialed are experts and all experts are credentialed. Expertise, of course, does not require any credentials but rather extensive knowledge of a particular field and expertise needs no political advocacy. Credentialism, on the other hand, requires constant political advocacy and political activists increasingly require the credentialed to give weight to their advocacy. David Labaree offers an amusing contrapuntal with is arguments that professional education has subverted liberal education and liberal education has subverted professional education. “The professional dominates the goals of the higher education while the liberal has come to dominate its content.” Suddenly, however, “liberal education” no longer means what it once did, just the same as the modern day political liberal has bears no resemblance to 18th century liberalism. This credential has no credence. Of course, many of the credentialed will cry foul and vigorously defend the credentialed who have all too often been conflated with experts. Consider just one of those defenders in Tom Nichols a professor of national security affairs at the U.S. Naval War College and adjunct professor in the Harvard Extension school (now that them there are some credentials!) with his emotionally charged lamentations of “The Death of Expertise”. Nichols arguments are so poorly thought out, so poorly written experts across the world should slap this man in the face for embarrassing expertise, but Nichols is a product of the strange loop of credentialism even long after its shelf life has expired. Point taken. I suppose I was arguing for a different kind of credentialism than what you describe, though what you describe is the dominant form of it. What I was arguing for is that the credentialed should have some sense of reverence for what they have by honoring what it’s about, and by doing that, gaining respect in society. To more directly answer your argument, something I’ve observed is the discrimination we’re all here complaining about isn’t really about credentials. The real discrimination goes right back to tribalism, but it’s not about credentials. It’s about our definitions of justice. The clearest expositions of this I’ve heard have been from Evan Sayet, who wrote, “The Kindergarden of Eden” (deliberate misspelling), and Allan Bloom, who wrote “The Closing of the American Mind.” You don’t have to read Sayet’s book to get the gist of what he’s talking about. He’s done several speeches on the subject, which you can find online, though his book gets into more detail. The reason I know this is that I have seen people who tout credentialism on climate and economics, but when they are presented with people with impressive credentials who disagree with what they say, they will say, basically, “Those people are charlatans. Their opinions have been debunked. They’re not worth listening to.” Well, wait a minute! They were just shoving credentials in our faces when they were challenged, but if they are presented with credentials for a contrary opinion, those same people will say they’re crap, without addressing their arguments at all. So something else is going on here. People who think they are our moral betters are not necessarily honest about the reasons they think what they do, even with themselves. I’ve heard stories from academics who honor the profession they’re in, who are bashed over the head for offering their professional opinions by their fellow academics. Judith Curry being one! By characterizing it this way, what I’m saying is they were challenged in an unprofessional and unreasonable manner, which defies the credentials they supposedly earned. The “flashing” of credentials to win an argument is nothing but a ploy to get people in society to not object to their actions. The fact of the matter is the people doing that rarely honor their own credentials, because they are in fact treating them cheaply by their own actions. If they honored them, they would honor the differing opinions of those who hold them. The question is why are they doing that? Take a look at what Sayet and Bloom have to say. Pingback: Skin in the game | Climate Etc. While watching the lecture from 2014, “State of the Climate Debate” at the George Marshall Institute, at 16:30 the slide describes “the pause continuing at least another decade, into the 1930’s”. Surely this should be into the 2030″s? RULE NO. 1: If you cannot explain the past, do not attempt to predict the future!! “Global Warning” has now become “Climate Change”. Could it be because – after all the gross errors and “cherry-picked” data that the UN IPCC used in creating this hysteria – the corrected data suggests that the earth has actually been COOLING SLIGHTLY for the last decade or so and Al Gore’s “hockey stick” graph has become a “hockey puck”. Of course the climate is changing, as it has been since the earth began. Scientists recently discovered that semi-tropical forests existed at the South Pole 252 million years ago (That is attributed to continental drift and as of yet man has not been accuses of being the culprit.) Dinosaurs disappeared almost overnight 65 million years ago. Now those are two extreme examples of climate change and obviously man had nothing to do with it. The last ice age – with glaciers a mile or more thick in NYC’s Central Park and extending (with decreasing thickness) about as far south as Atlanta, Birmingham, and Dallas – ended about 10,000 years ago. With the earth 4,500,000,000 years old, 1,000 years in geological time is equivalent to 9 minutes in the typical 77 year life span of a human and 10,000 years is only 90 minutes – just enough time to watch the first half and the highlights of an college football game. (Hereafter time will be expressed in relative geological times. To convert back to calendar time divide by 9 and multiply by 1000). Man and CO2?? Several years ago scientists viewing satellite photos saw what appeared to be dry lake beds in the Sahara Desert. Upon investigation they discovered that – in fact – lakes had existed there with surface areas greater than the Great Lakes. They further determined that extended wet periods followed by desertification had occurred numerous times, with the last wet period ending 55 minutes ago. Man and CO2?? It was much warmer in 218 BC (20 minutes ago). The proof is that portions of the route that Hannibal took with his elephant troops in his war with Rome are now covered with glaciers formed in the Little Ice Age (LIA). More about the LIA later. Man and CO2?? It was also much warmer in the Medieval Warm Period, 800-1350 AD (6.0-11 minutes ago). We know that because Eric the Red – followed by his son Leif Ericson – colonized Greenland around 870 AD. Dozens of settlements continued until the onset of the LIA around 1350-1400 AD (6.0-6.5 minutes ago). Man and CO2?? The LIA — with its famine and death – extended until about 1850 (1.5 minutes ago) and was by far the most miserable period in recorded history. During that period, glaciers grew dramatically around the world. In Europe farms and entire villages were overrun by glaciers. Iceland lost half of its population and Finland lost one-third. Man and CO2?? Viticulture – the growing of grapes and production of wine – disappeared from England and Northern Europe. In China warm weather crops such as oranges disappeared from regions where they had been grown for centuries. In Ethiopia and Mauritania there was snow on the mountains year round where it had not been before the LIA and is not there now. This is also reflected in the comparative photos of Kilimanjaro that Al Gore used in his slide show, which showed the glaciers that had grown during the LIA were retreating. Man and CO2?? The Thames River in England froze each year and Ice Fairs were held on it for more than two centuries — with the first in 1607 and the last in 1814 (2.7-3.6 minutes ago). The Bosporus Strait – which connects the Black Sea with the Sea of Marmara and ultimately the Mediterranean – froze in 1622 (3.5 minutes ago). Man and CO2?? In 1658 (3.2 minutes ago) Swedish King Gustav X marched his army across two frozen straights to invade Copenhagen. Washington’s victory at Trenton on Christmas Day 1776 almost didn’t occur because giant ice flows in the Delaware River severely hampered the crossing. In 1780 (2.1 minutes ago) residents in Manhattan and Staten Islands could visit each other by walking across the frozen New York harbor. Man and CO2?? In 1968 (23 seconds ago), Doomsday Professor Paul Ehrlich – Al Gore’s hero and mentor – predicted food shortages as early as the 1970’s with hundreds of millions of deaths from starvation. Ironically, on the first “Earth Day” in England in 1969, environmentalist Nigel Calder stated, “The threat of a new ice age must now stand alongside nuclear war as a likely source of wholesale death and misery for mankind”. C. C. Wallen of the World Meteorological Organization said, “The cooling that has occurred since 1940 (38 seconds ago) has been large enough and consistent enough that it will not soon be reversed”. Man and CO2?? DANGER: The Globe Is Cooling: Science News, November 15, 1969: “How long the current cooling trend continues is one of the most important problems of our civilization.” Washington Post, January 11, 1970: “[G]et a good grip on your long johns, cold weather haters; the worst may be yet to come.” The article was titled, “Colder Winters Herald Dawn of New Ice Age.” New York Times, December 29, 1974: “[P]resent climate change [will result in] mass deaths by starvation and probably in anarchy and violence.” Christian Science Monitor, 1974: “[T]he North Atlantic is cooling down about as fast as an ocean can cool.” Newsweek, April 28, 1975: “The drop in food output [as a result of colder weather] could begin quite soon, perhaps only ten years from now”. Man and CO2?? DANGER: The Globe Is Warming: New York Times, August 22, 1981: “[Global warming of an] almost unprecedented magnitude [is predicted].” Washington Post, January 18, 2006: “[Rising temperatures] could, literally, alter the fundamentals of life on the planet.” Time, March 26, 2006: “Polar Ice Caps Are Melting Faster Than Ever . . . More and More; Land is Being Devastated by Drought . . Rising Waters Are Drowning Low-Lying Communities . . . By Any Measure, Earth Is at the Tipping Point; the climate is crashing, and global warming is to blame.” Man and CO2?? In truth, we have been working our way OUT of the LIA – with slight ups and downs – for 160+ years and hopefully it will continue until a few hundred years hence climate will approximate the Medieval Warm Period, with milder seasons and bountiful crops. And anyone who is honest will admit that we really don’t have a clue (other than the activity of the Sun and possible variations in the earth’s orbit and also changes in the angle of the earth’s axis relative to the sun) as to what has caused the extreme variations in climate over the last 10-12 millennia and even the last 2-3 for which we have some history and data. However, what we do know is that it wasn’t caused by man and CO2. ONE ADDITIONAL POINT: CO2 IS NOT A POLLUTANT!!! In fact, it is necessary for life on earth. All vegetation requires CO2 for growth through photosynthesis. Further – as is true of all chemical reactions – increasing the concentration of CO2 in the atmosphere will increase the reaction rate and thus the plant growth and production. That is why CO2 is pumped into greenhouses. Ironically the only true statement by the “true believers” in the GW hoax is when CO2 is referred to as a “greenhouse gas”, which is a positive. James J. (Buddy) Spears, Jr. I have a couple of solutions, when you’re ready to discuss them. A patent for every particle in the universe. Legal and scientific arguments are welcome. https://www.google.com/patents/US20110020893 I donated that patent application to the University of Texas Edinburg. The media buried it. A plan for cleaning up the Great Pacific Garbage Patch.